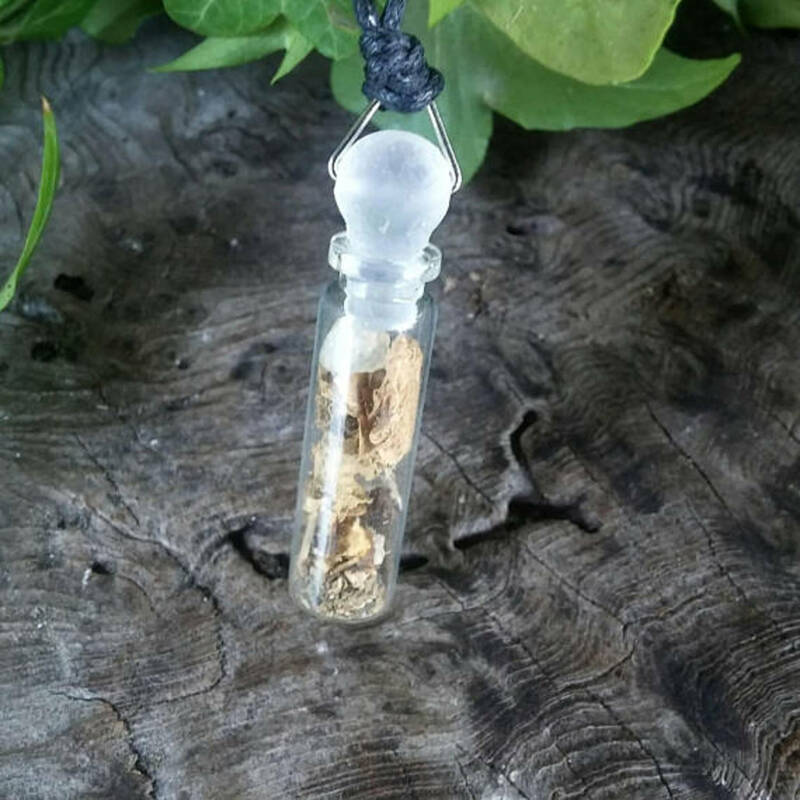 Prosperity witch bottle necklace talisman for money drawing, wealth, prosperity gift. 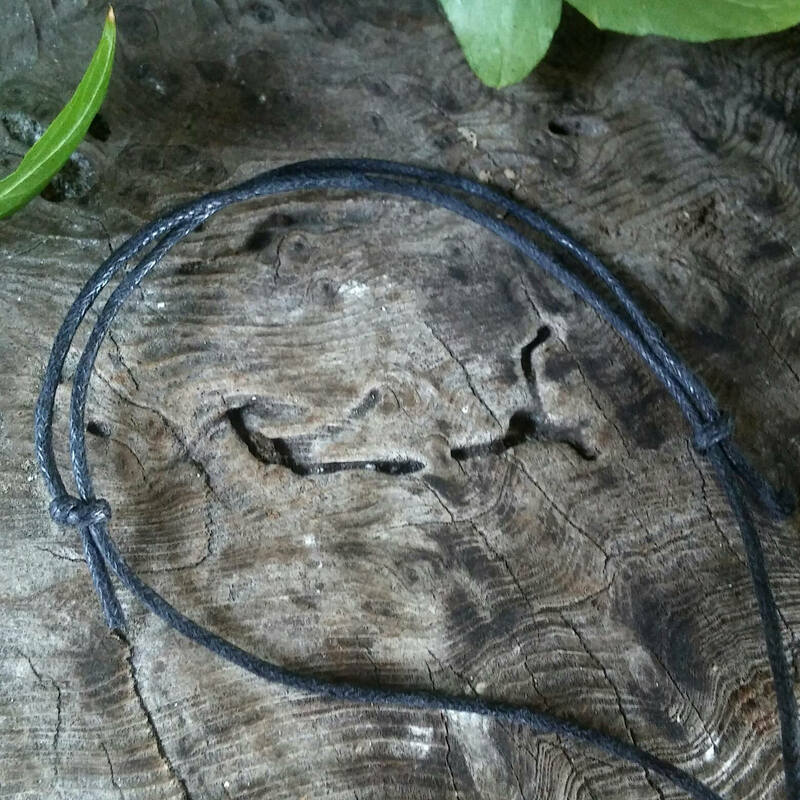 As long as time has been, people have worn or carried talismans for a variety of reasons. 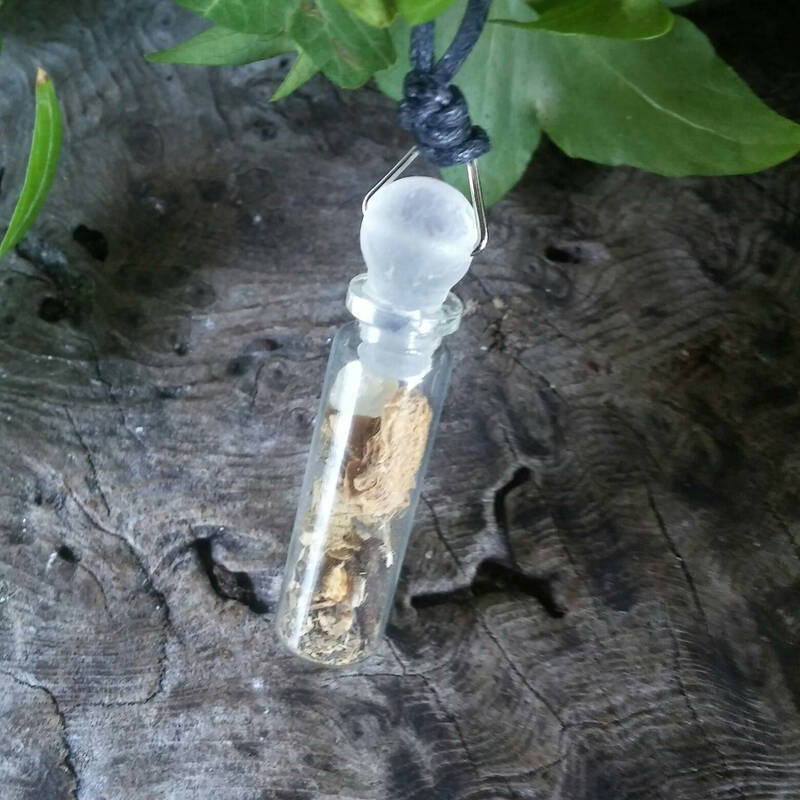 We have created this witch bottle to help draw prosperity to you personally or to your business. 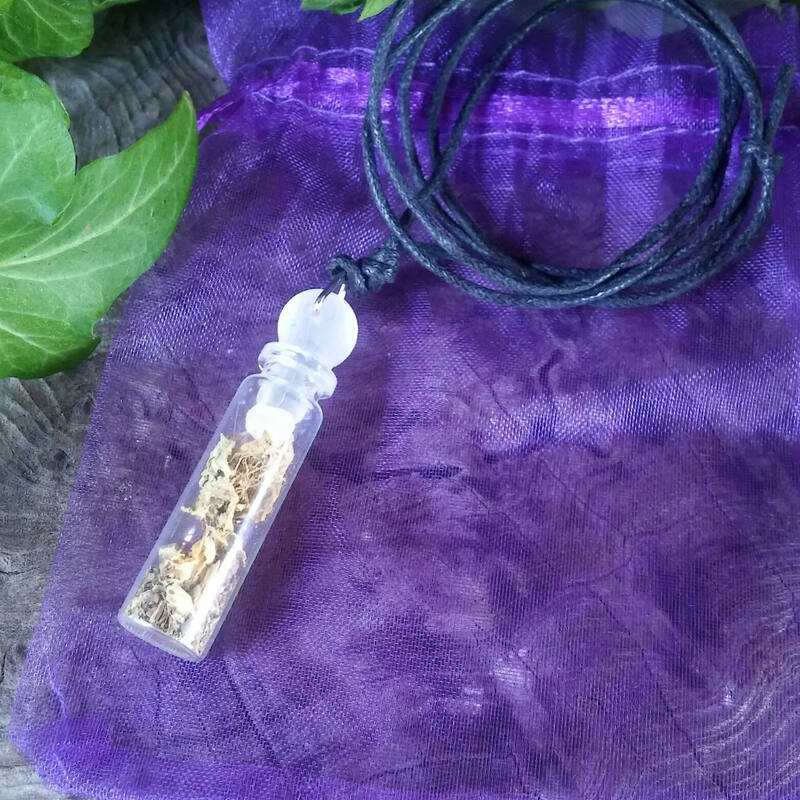 It is handmade and a nice amulet you can wear as wiccan jewelry. 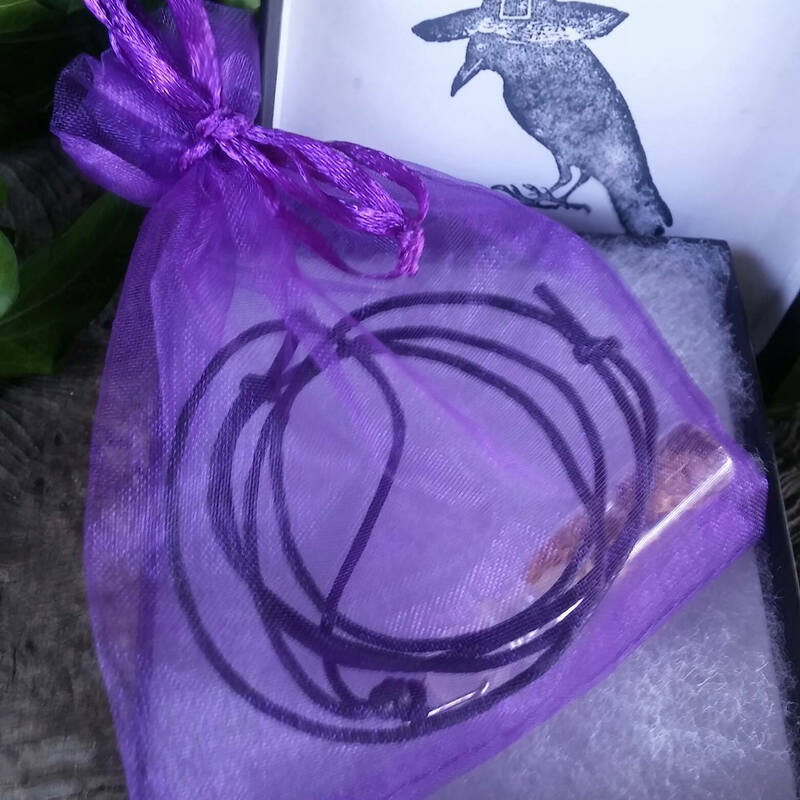 This witch bottle pendant on an adjustable waxed black corded necklace is the best of wealth jewelry/jewellery, filled with nine items for drawing wealth. 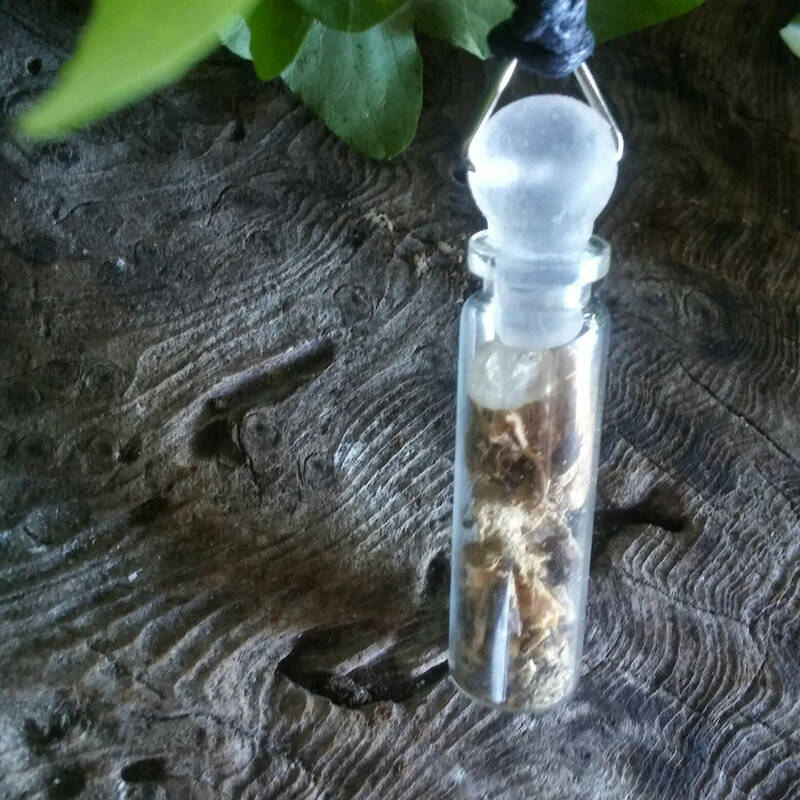 There is Oak moss, bergamot, and ginger to name a few and topped with a Citrine chip to not only help draw prosperity but also to give added strength to the herbs, woods, and spices used. Witch bottles have extended from only protecting the home and land to other needs over time. 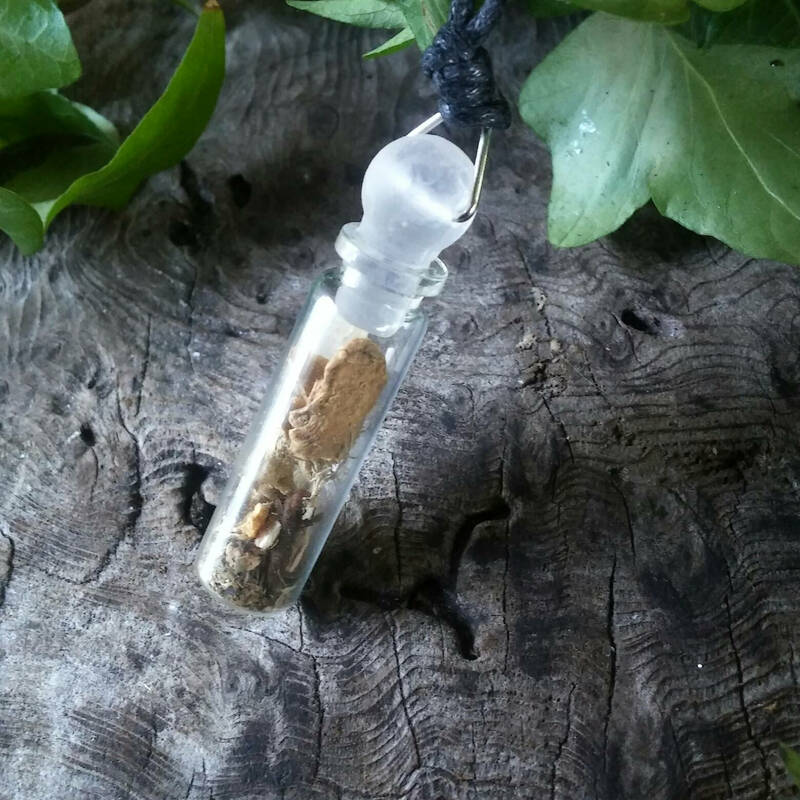 Many people have gone to their local cunning folk over the years for all manner of needs whether for good health, protection, or in some cases, courage, love, and money, All of the items in this witch bottle are chosen specifically to help draw wealth/prosperity/money into ones life.